This CV immediately reveals an assumed personality. Its header is original and convincing. The transparent photo and the contact icons give a modern look. Importantly, the content is perfectly structured. The streamlined design makes it easy to catch the eye on information. This is useful for the recruiter and hiring manager. 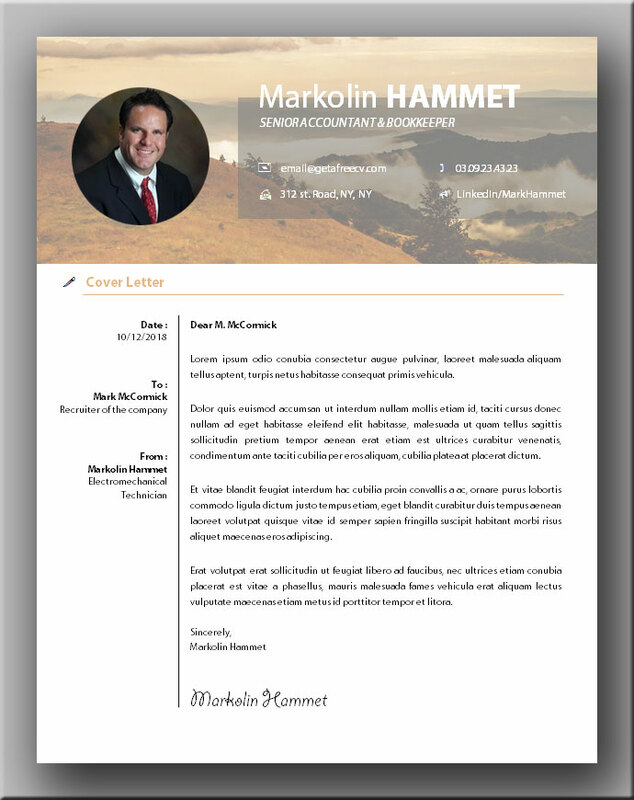 The pretty cv template is sober and sweet, making it pleasant to read. Above all, the work experiences, positioned at the center of the document, are well valued. Thanks to a vertical line offering a chronological reading. The skills, languages ​​and expertise provide a synthetic view with a very convenient slider system. An ideal resume for executives profiles, managers and/or with proven skills. 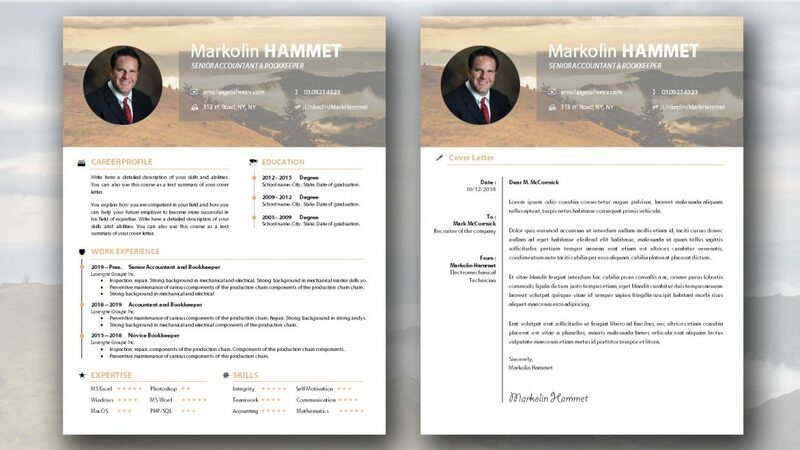 This is what your resulting pretty cv and cover letter template should look like. 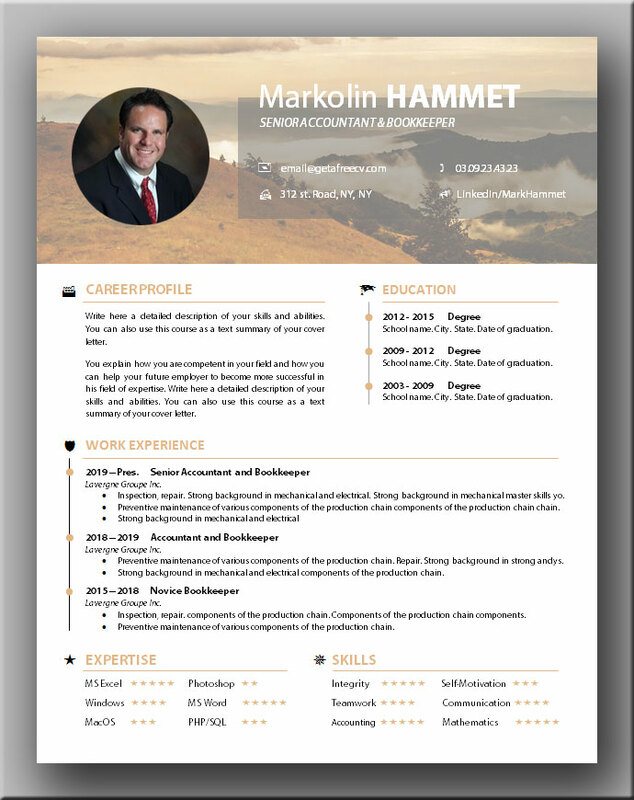 You can get this CV template in MS Word format simply by clicking on the download button right after the next image and save it to your computer to edit. We created a matching cover letter. This way you can have a full professional bundle to present to recruiters and hiring managers. Simply click on the download button to get the file.